UTV Accessories Guide. Info and Best Buys. Information about popular accessories and Best Buys. Tons of UTV accessories on the market. But which ones really do the job and where do you get them at the best price? Those are the questions this accessories guide for UTVs will answer for you. Need a windshield, cab, racks, bumpers, wheels, tires, cover, maybe a snow plow? Maybe something a little less popular? We'll show you where to find that too. The accessories are divided into categories below. If you need something for a specific make and model - just click on the manufacturer's button on the left of the page. UTV Snow Plow Guide - You're thinking about a UTV snow plow but you need some more info? What works and where do you find a great deal. That's exactly what we'll cover here. Polaris Ranger UTV Accessories - Guide to the thousands of accessories for the Ranger and RZR models. We cover the latest and most popular goodies for these Polaris UTVs and better yet, where to find the best deals! Use the links below to find the best deals on side by side accessories and parts. These links are programmed to update every day so they always show you the best bargains available. There's great prices on all the popular accessories like winches, wheels, tires, bumpers, racks, skid plates, and more. 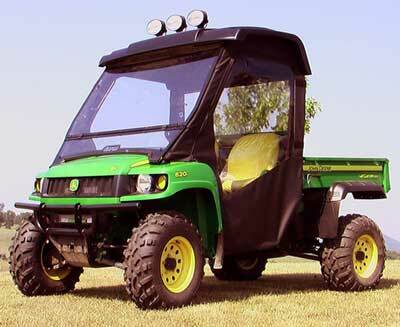 It seems like new accessories are introduced every day as these UTVs gain popularity. That's why you'll find them here as soon as they are offered for sale. If you don't find what you want, be sure to come back later and try again. UTV Guide - The UTV Guide has pictures, videos, reviews, specs and more about UTVs, accessories, parts, and where to find the best deals.